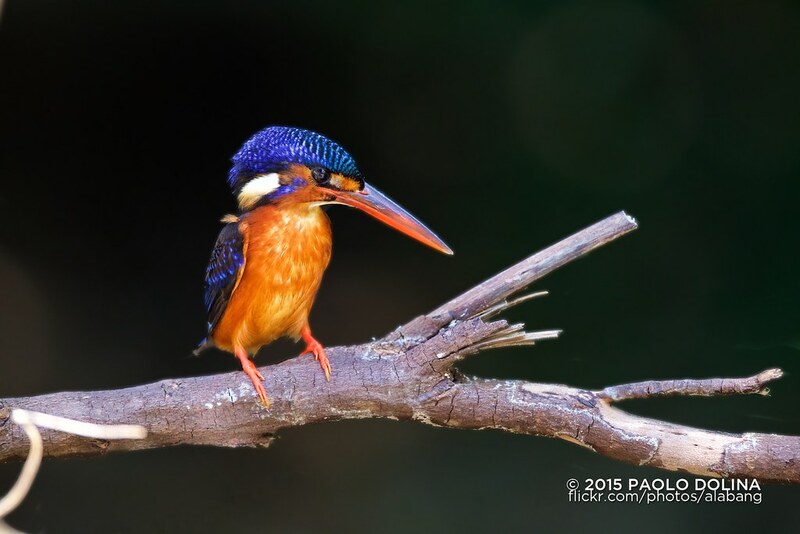 This 16 centimetres (6.3 in) long kingfisher is almost identical to the common kingfisher (Alcedo atthis) but is distinguished by the blue ear coverts, darker and more intense cobalt-blue upperparts with richer rufous under parts. The juvenile blue-eared kingfisher has rufous ear-coverts as in the common kingfisher but it usually shows some mottling on the throat and upper breast which disappears when the bird reaches adulthood. 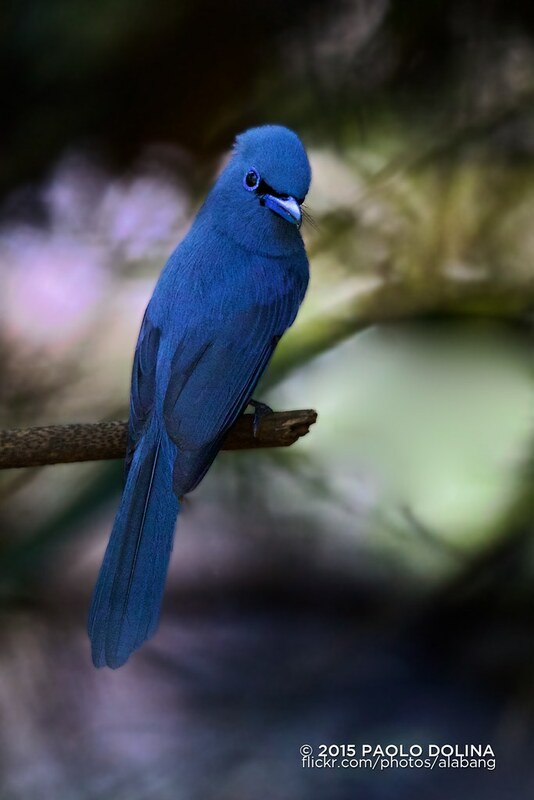 Young birds have a reddish bill with whitish tips. 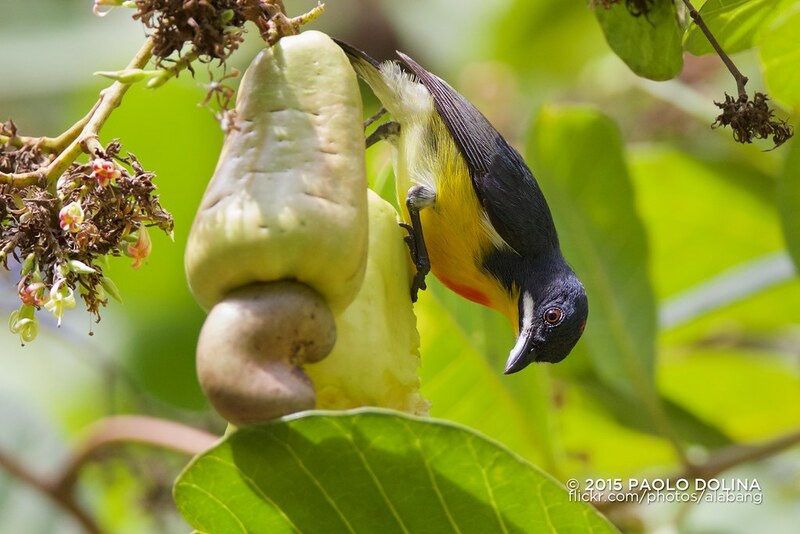 The Palawan flowerpecker (Prionochilus plateni) is a species of bird in the Dicaeidae family. It is endemic to the Philippines. The scientific name commemorates the German zoologist Carl Constantin Platen. The Ashy-Fronted Bulbul (Pycnonotus cinereifrons) is a species of songbird in the Pycnonotidae family. It is endemic to Palawan Island in the Philippines. Its natural habitat is subtropical or tropical moist lowland forests. 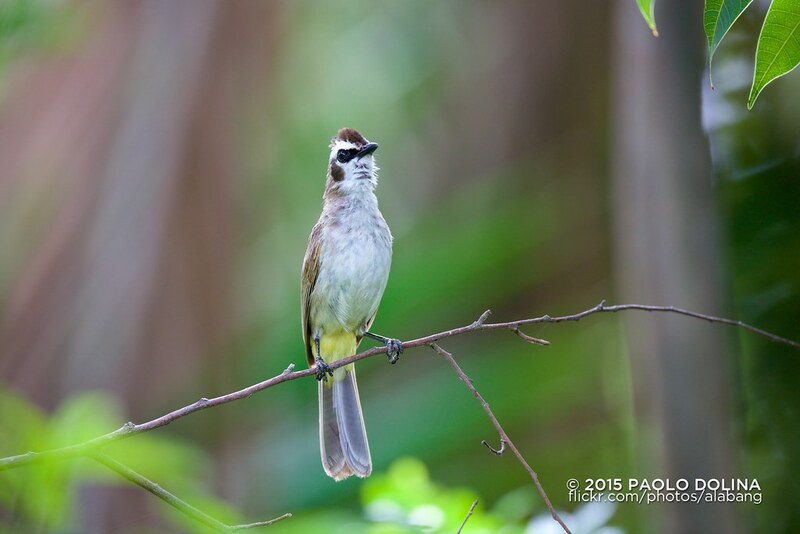 It previously was considered a subspecies of the olive-winged bulbul. Paolo, if I may, what else is involved beside the 800mm? It tells you on the Flickr site. A 1DIV! Instead of upgrading your body just upgrade your glass to a 800/5.6. Alan, you have it all wrong! What I need to upgrade is my skill level, big-time. However ........ If some of those colorful guys would show up here I think I'd be learning like crazy. I used a tripod and gimbal head. As mentioned the body attached is the 1D4. I did not upgrade to the 1D X as I see as a sports/photojournalist body as the pixel density was less than the 1D4. As for lens, body and gear vs skills it really depends on what you are trying to accomplish. After 5+ years of use I know gear mentioned like the back of my hand. What I would like to do is improve my skill with artificial light and remote shooting. 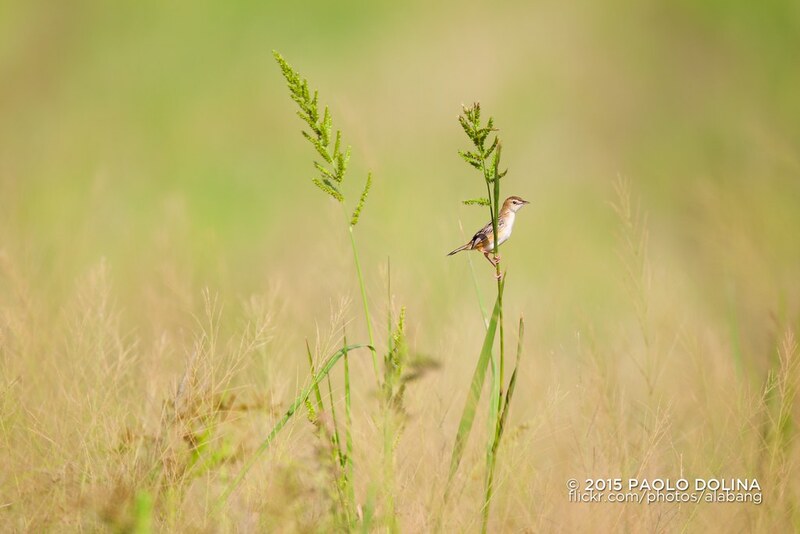 The site in Coron, Palawan allows for more creative photography as the birds are very tamed by Philippine standards. Thanks very much Paolo. I see what you mean!! Have you shot that woodpecker that looks similar to the Pileated? Crazy colorful. 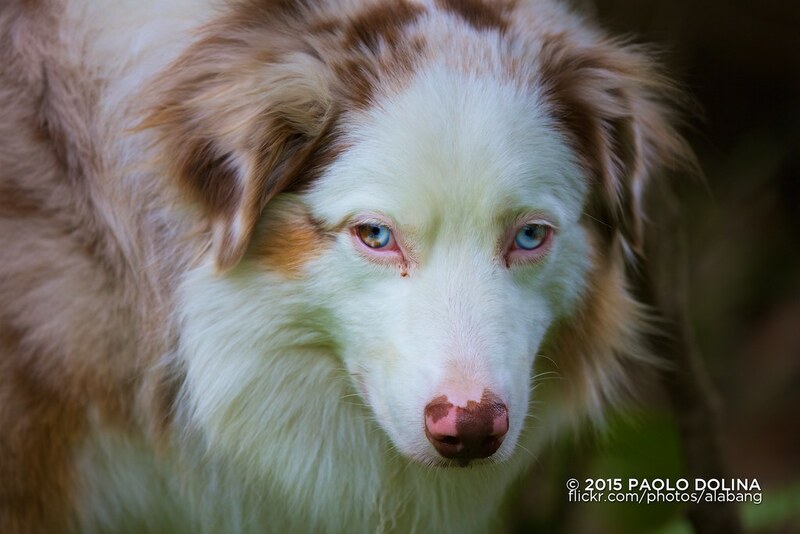 I know Maia personally and have licensed my images to her for free for her lectures to her students. If you have free time now is a good time to fly over Jack. Email Chin Fernandez at dipulao@gmail.com. He is the tour operator that specializes for birders in general. He knows birder workflow and your requirements. He can handle accommodations, transportation, food and other logistical matters. His family owns a hotel near the birding site. Tell Chin your dietary requirements when corresponding with him. As a culinarian I found his thoroughness surprising by local standards. Food & drinks provided and delivered by Chin to the birding site if I recall correctly is 300/person. Entrance fee is 250/day and guide fee is 1,000/day. Erwin, the guide knows how to use both Canon and Nikon cameras for framing. He can also carry stuff for you. My advice is to look for bird calls and keep it in your smartphone for playback. The guide does not have any device on him and that was a mistake on my part. A bird list for coron and Palawan are a googl search away. Best to book early for your plane ticket from Manila to Busuanga. I took PAL but I was told by my Swiss friend that Cebu Pacific has an earlier flight from Manila airport and later flight from bushangs airport. We took PAL for the points. I am not a guide but I would like to "push things forward" for other photogs. Paolo, if I was not an old retired guy with a wife I'd be over in a wink looking at the birds and the girls. You should have informed me 30 years ago! But all this is very intriguing and I'll be giving it some thought for another year. What's the best time of year for photography and decent weather? Once I was to drop down into the jungle of Peru but the plane got turned back due to bad, really bad, weather and our plans wouldn't allow a return trip. Nice to dream but plane fares are pretty expensive for average folk like us. Keep posting your amazing photos. 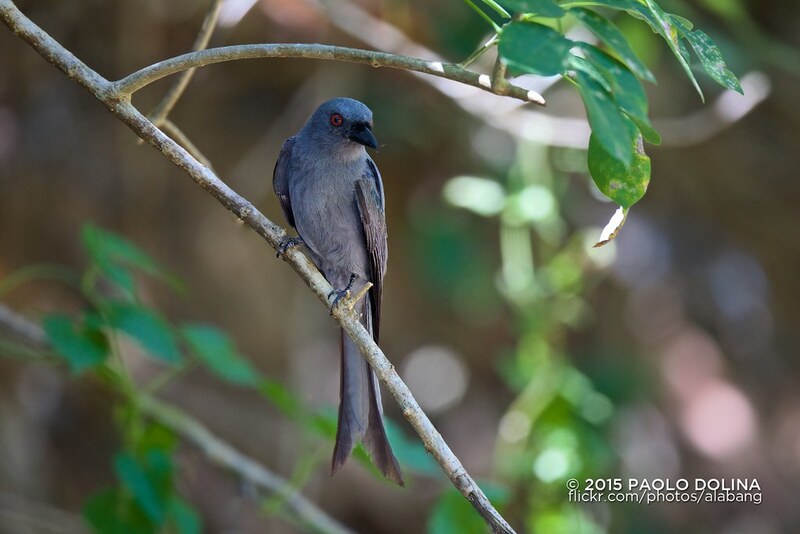 The birding site in Coron, Palawan is perfect for old retired guys. I would consider it "stupid easy birding". The van takes you from your hotel to the site and you walk at most 60 feet to a 2 level hut that has a ceiling fan. Guide will carry your bag for you. You get about about a dozen endemics right there. First week of March was when I flew over to Coron, Palawan. Perfect birding weather as it was cloud-less. This Sunday a few friends are going up a mountain for a 3 hour hike with porters to carry their gear and possibly then. Both gents are in their 60s. I'm half their age but will just stay at basecamp as I fear mosquitoes. The target bird is the Whiskered Pitta. The frame is purposed for a 20-inch by 30-inch or larger printed surface. Hey Paolo, I still enjoy pretty vigorous hiking but who couldn't handle what you describe! Worth keeping in mind. You did have to mention mosquitoes!? This photo will look great in the size you describe, very nice. High praise Jack and thank you. There is a Facebook-based photo contest right now whose theme is "Bird with Melted/Creamy Bokeh". The submission that wins will get their work printed for free on a large surface (I'm thinking 3 feet by 2 feet) and be displayed during a trade show for creative & print professionals. Exercise for anyone is a must. Wish I get to bird everyday as it gets me to do it for long periods of time without boredom setting in. The 3 hour hike is 3 hours drive from where I live. Although a lot of birders have visited the place I have not. Cropping done upon suggestions made. Just testing the high ISO of the 5DS R on subjects that it was not marketed to handle. 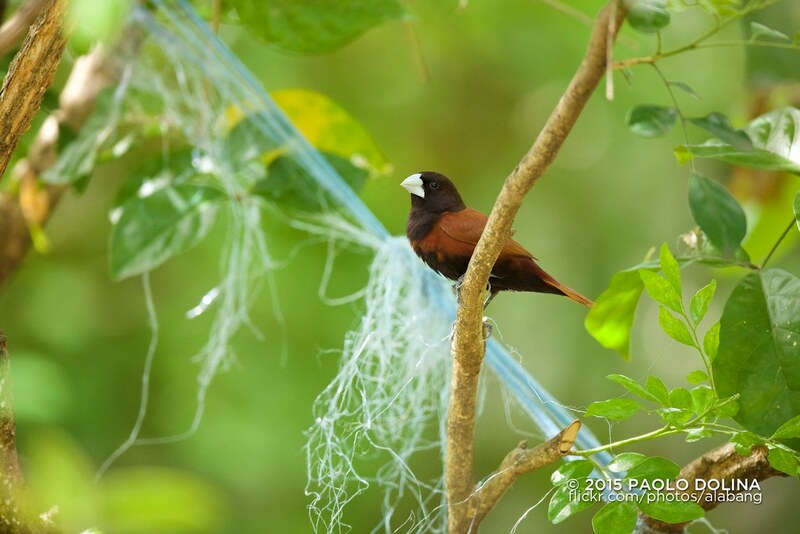 The Chestnut Munia (Lonchura atricapilla) (formerly considered as a subspecies of the tricoloured munia Lonchura malacca atricapilla), also known as black-headed munia, is a small passerine bird. 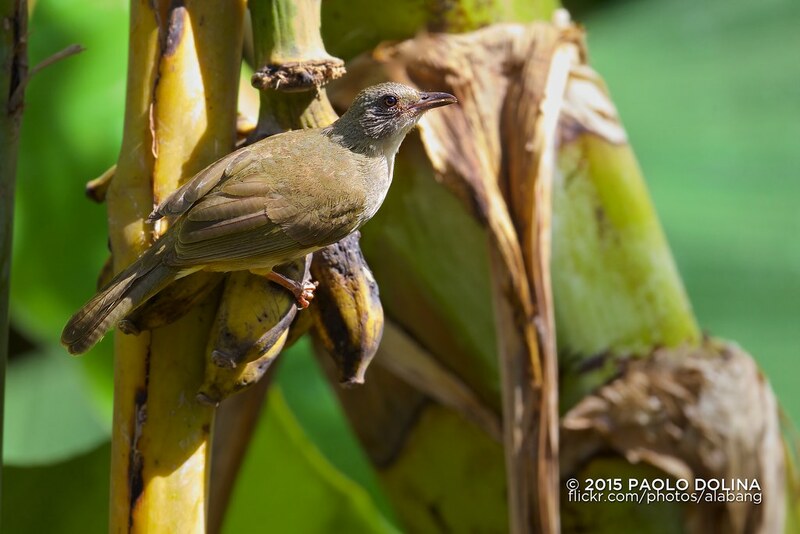 This estrildid finch is a resident breeding bird in Bangladesh, Brunei, Cambodia, China, India, Indonesia, Laos, Malaysia, Burma, Nepal, Philippines, Singapore, Taiwan, Thailand, Vietnam and Hawaii.